Wow! 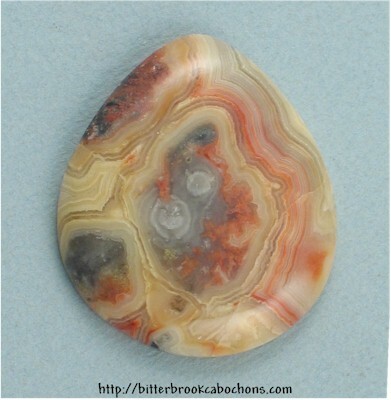 Picture a hole opening up in the universe, pushing aside pastel-colored lace in this Lace Agate galaxy. It's a muted beauty, but very distinctive! 39mm x 34mm x 7mm. Weight: 70.00 carats.